Tim Britton design this robust linerlock flipper for a builder of custom Glocks. It has a 3.937-inch drop point blade of CPM S35VN high carbon powder metallurgy stainless steel blade. 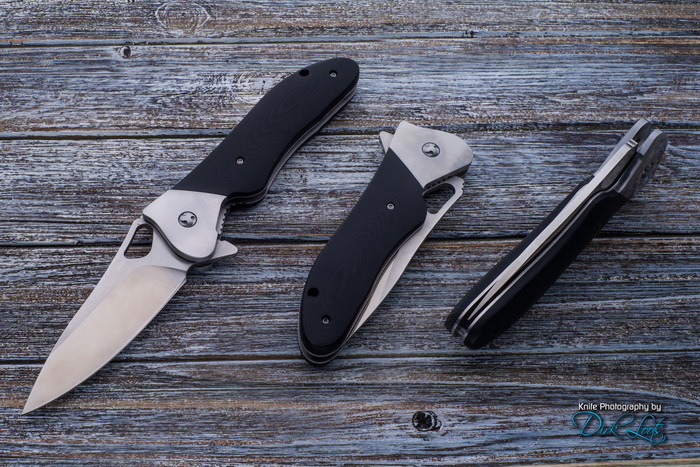 The handle scales are black Linen Micarta with 416 Stainless bolsters. The frame and liner lock is 416 stainless. Opening via a ball bearing flipper pivot. Comes with a Britton signature knife pouch.